Police are confirming that multiple people have died in a shooting, news is still coming in. New Zealand police are hunting “an active shooter” in the centre of Christchurch city on Friday after shootings at two mosques left several people dead. The deaths so far were reported at two locations, he said, adding that police are unsure if there are threats in other areas. New Zealand police are hunting "an active shooter" in the centre of Christchurch city on Friday after shootings at two mosques left several people dead. According to reports, the suspect (a self confessed right wing nut job) recorded the murders in real time and posted the videos on social media. Meanwhile fat donald posts this on Twitter. A Breitbart link which describes the shooting. The shooter appear to be a radicalized far right anti-migrant. Ya I just ran into a gif of part of it… holy hell. He was all over the chans, posted links to his manifesto all over a twitter. I really don’t recommend going looking for it either. But It seems he set everything up so it would spread everywhere. White supremacist from AUS and most likely a Q follower as well. It was in his daily briefing this morning but he waited until he heard it from a source that trusts him, I mean a source he trusts. 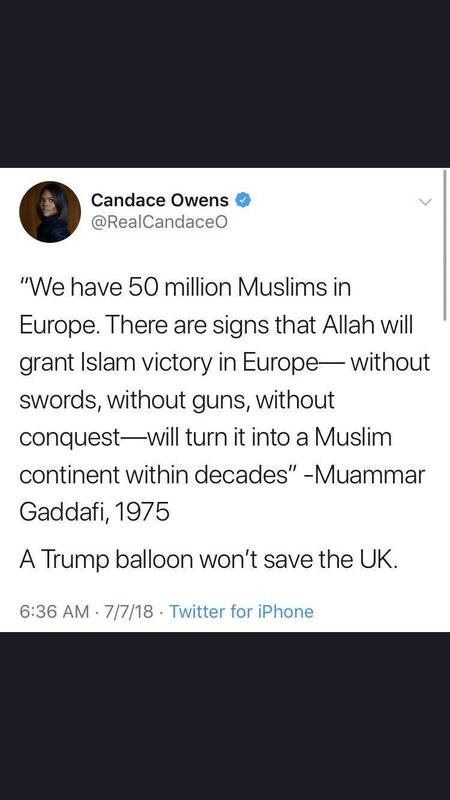 He seem to be all over the map on term of politics but generally his views are that non European are colonizing western European countries and he views that as an attack, that seem to be the main motivation for his attack. the rest of it seem to be a mix of alt-right/alt-left propaganda. he planned this attack for two years. The United States has set this example. Sad to say, but we are complicit. 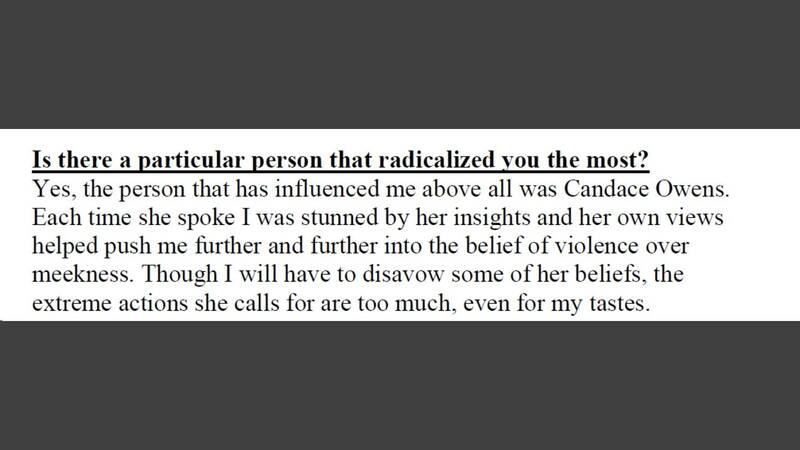 Apparently, Candace Owens was mentioned as an influence in his manifesto. we are all complicit in allowing anti-migrant paranoia to become mainstream, I see it everyday at work and in my town. “Muslims and immigrants are destroying our society” is not some all ‘all over the map’ political view but rather Is a mainstream right wing talking point in Western countries. His “manifesto” is a cacaphony of white supremacy, nationalism, memes and trolling. Our world is a very messed up place sometimes. She isn’t mentioned by name but what she said in that tweet is heavily talked about in the sense of white genocide. 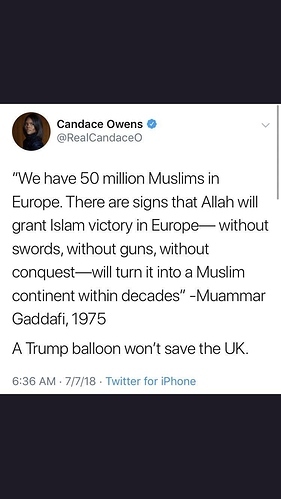 As an aside, why do all the Q nutters always sprinkle “FACT” thoughout their social media posts? Its a very real tell. The part I saw he mentioned her by name but its clearly trolling. I don’t know, trolling isn’t the right word for it. This one is really messed up. Mass shootings now livestreamed in hd on youtube. Good job humans, good job. we are all to blame for this, this wasn’t a freak accident we create a world in which this type of hate is breed on such a massive scale. we have accept anti-migrant policy, etc as mainstream normal. It looks like she was mentioned by name. This is a snippet from his manifesto.